With a successful test of a DOCSIS 3.1 modem, Comcast is set to embark on its new plan to offer gigabit-speed internet service. Comcast has made a breakthrough that could enable it to offer gigabit-speed broadband to its existing network without going through the exhaustive, and expensive, process of building out a new fiber network. Through this process, Comcast said it will offer a new gigabit-speed service by the end of 2016. In a blog post published today, Comcast said it ran successful tests of what it's calling "the world's first DOCSIS 3.1 modem on a customer-facing network" at a home in Philadelphia last month. The DOCSIS standard increases the amount of data that can be transferred over existing cable TV systems, with version 3.1 capable of boosting speed to 10 Gigabit-per-second (Gbps) downstream and 1 Gbps upstream. The real advantage for Comcast is that rolling out the high-speed service to customers will only require setting up a new modem. In the blog post, Comcast executive vice president and CTO Tony Werner explained that, because the DOCSIS 3.1 standard is backwards-compatible, it can reach these speeds using its already-deployed Hybrid Fiber-Coaxial network, meaning the process requires "no digging up streets or backyards." "The test used the standard cable connections that we have in homes across the country," Werner explained in the blog post. "All we needed was a new modem, a software upgrade to the device that serves that neighborhood, and a few good engineers." Comcast has publicly discussed leveraging DOCSIS 3.1 since at least August, when vice president of network architecture Robert Howald told Fierce Cable that the company wanted to upgrade to the standard by 2018. Then, in October, Comcast vice president of access technology Jorge Salinger wrote in a company blog post that it planned to begin deploying DOCSIS 3.1-based service by the end of 2016. 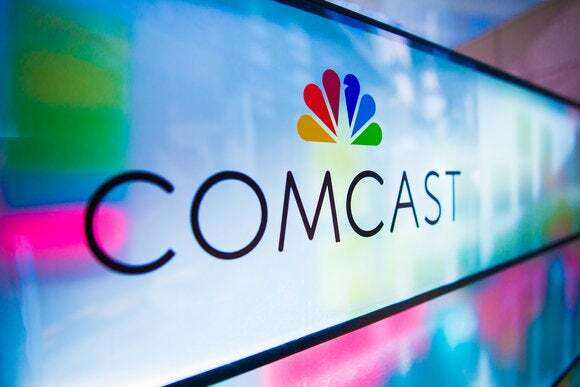 Today's announcement of the test in Philadelphia proved that Comcast is capable of doing so, and reiterated its plans to bring the technology to market in the coming year. The plan marks progress from its recent gigabit service deployment efforts, which involved slow, incremental rollouts in select markets throughout the country. Called Gigabit Pro, the 2 Gbps fiber service was made available in certain cities in Florida, Georgia, Illinois, Indiana, Michigan, Tennessee, and California. Many see Gigabit Pro as a response to Google Fiber, the $70-per-month, 1 Gbps service that is either available or slated for deployment in several of the same cities where Comcast rolled out its multi-gig offering. The primary question surrounding the DOCSIS 3.1-enabled service will be price. Gigabit Pro may be twice the speed of Google Fiber, but at $299.95 per month and with up to $1,000 in installation and activation fees, it's substantially more expensive. The DOCSIS 3.1 modem will enable Comcast to provide comparable speeds, and presumably without the six-to-eight-week installation process it warns for Gigabit Pro. How Comcast sets pricing for its new gigabit-speed service will determine whether it has found a real Google Fiber killer. I've reached out to Comcast for specifics on the speeds and pricing it plans to offer customers, and I'll update when I've heard back.